Happy Tuesday Everyone! * We are back in business and fully... – Juka's Organic Co.
We are back in business and fully stocked with our red palm oil and all of our other products. And more & exciting new items are being added to our catalog soon! We are truly grateful to all of our customers that waited forever for the red palm oil to be back in stock. The process isn’t as easy but we lucky to do it just for you and the women we work with. It takes over two months to put the products together in Africa by our farmers. The products takes 3 months to transport to the U.S by sea. Once here, the red palm oil, shea butter, baobab powder & the rest of the products have to be taken into production before you can get your hands on them. The authentic products we bring to your are done with love and care. The support you have given us over the years, make us obliged to continue to carry the best quality red palm oil you can find in the market. We take pride in the authenticity of our products. 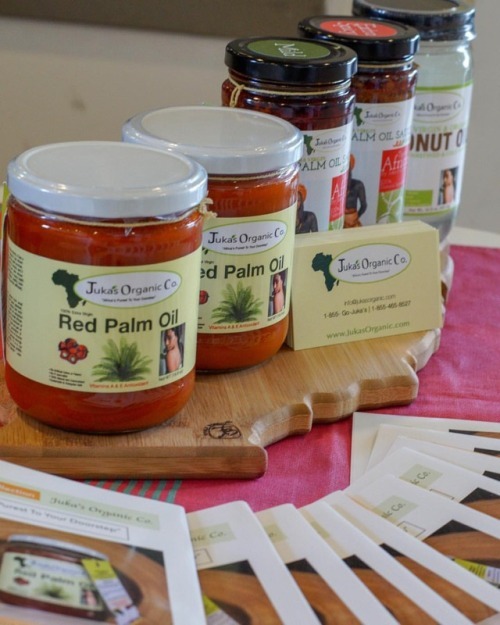 We know you come to Juka’s Organic either on line or to our local store partners to buy our red palm oil and or other natural food and beauty products because you trust us. We assure you that the trust will never be broken.